The Graves of three King’s Own soldiers in Rangoon. 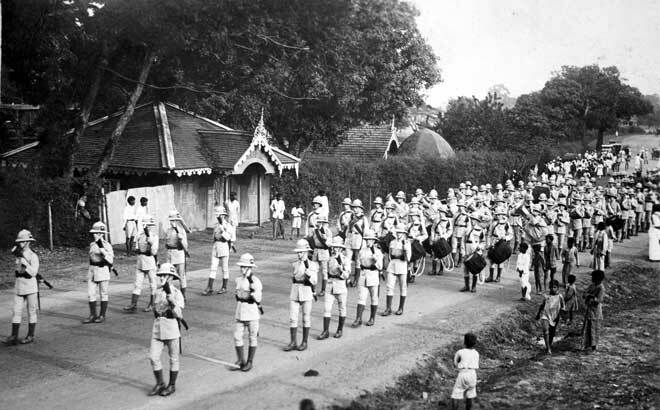 Band boy F Griffiths, 2nd King's Own, died 20 Apr 1923 aged 15 years after drowning in a lake. Sergeant John Carrick, 2nd King's Own, died 28 Oct 1922 aged 28 years, accidentally drowned. John Carrick had enlisted in the 1st/4th Battalion and served in the First World War and was awarded the DCM, he was number 2490, later 200476 and then 30759 with the 2nd Battalion King’s Own, and finally 3702413. 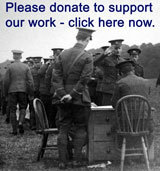 Sergeant Herbert Victor Sheldon, number 3702870, 2nd King's Own, died 30 Nov 1922 age 23 years. Poisoned by incorrect medicine purchased by himself. 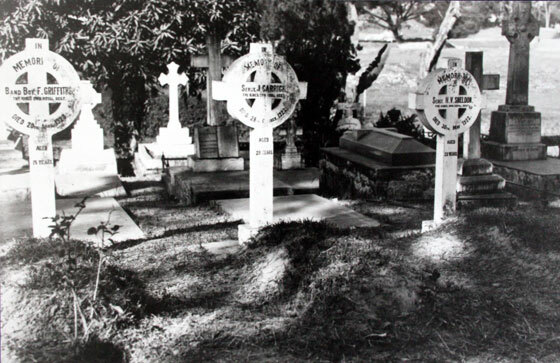 Cemetery in Rangoon, with the three graves, 1923. 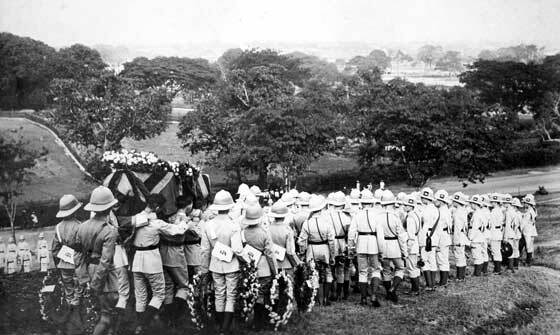 Funeral of Band Boy J Griffiths, number 3704202, 2nd Battalion King’s Own Royal Regiment, Lancaster. Died 20 Apr 1923, age 15, buried Rangoon, 22 Apr 1923.